We spotted a subtle but perfect way to wear an animal print..We love the neutral colorway! Resort 2011 runways featured a variety of classic animal skins. While some may believe that natural skins can get boring, we beg to differ; keep it timeless! We believe that many women may find it easier and more appropriate to wear animal prints in their natural colorway. Remember, less is more! 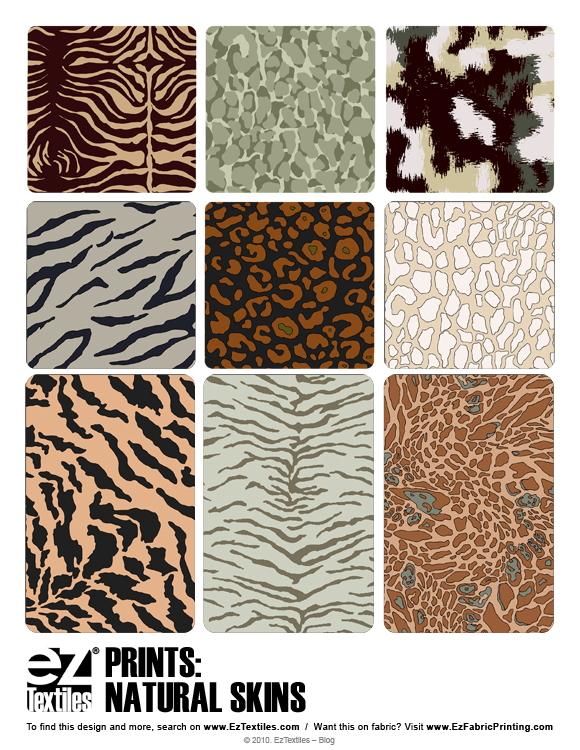 Feel free to download these animal prints.. There was a noticeable fun take on fruits shown by various RTW designers for resort 2011. We definitely foresee fruity themes going far in various markets, from kids, juniors, home, who knows? Check out how we interpreted this trend! 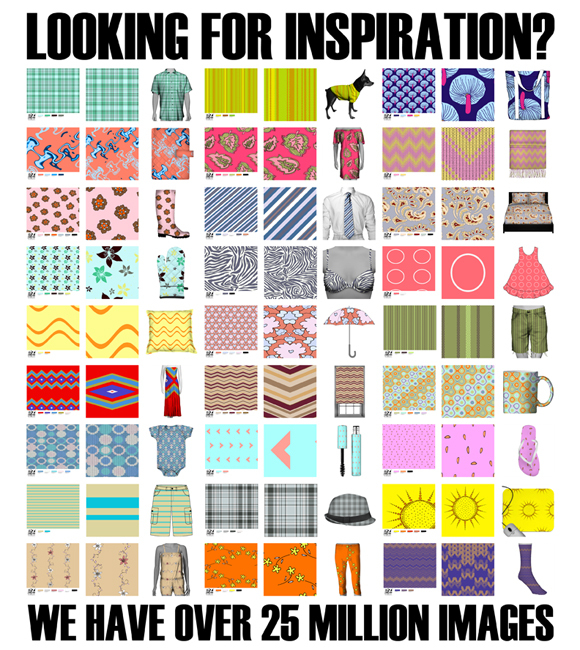 Search for more novelty patterns like these! EzTextiles – Has started Blogging! Welcome to the latest addition to Eztextiles, our very own blog! In an effort to stay current and provide our users with even more industry scoop, we have launched this blog section which will be updated daily with the latest in textile news, trends, and information! 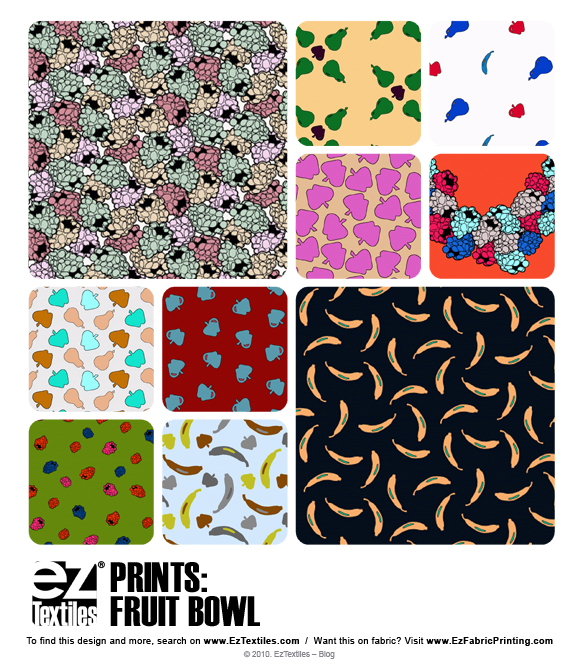 We look forward to keeping you informed on the current design trends in prints, graphics, knit, and wovens for nearly every market so that you can better design your future collections in conjunction with EzTextiles. Make sure to bookmark our blog, you won’t want to miss out on the daily buzz! See you back soon Ez readers!